Do your students struggle with number sense and the equal (=) sign? Here is a quick and easy way to assess what your students are learning. 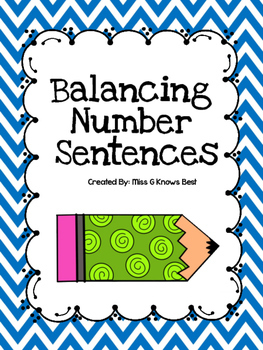 In this activity the students will cut out numbers sentences, balance and solve the number sentences, solve, sort, and glue. 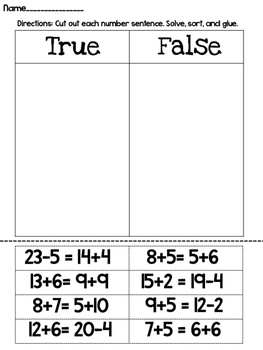 You can use it after a guided math lesson as an exit ticket, a pre-assessment, or a quick "show me what you know"!